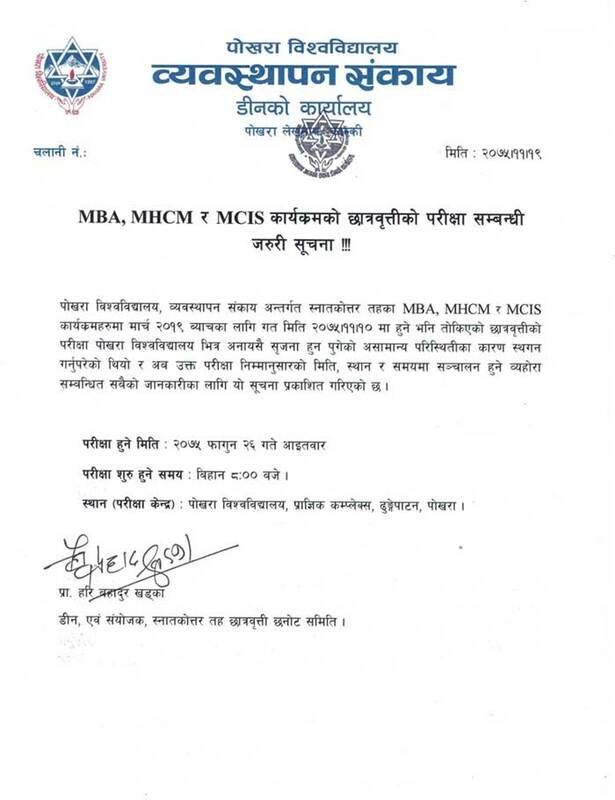 Pokhara University publishes Scholarships for MBA, MHCM and MCIS programs. 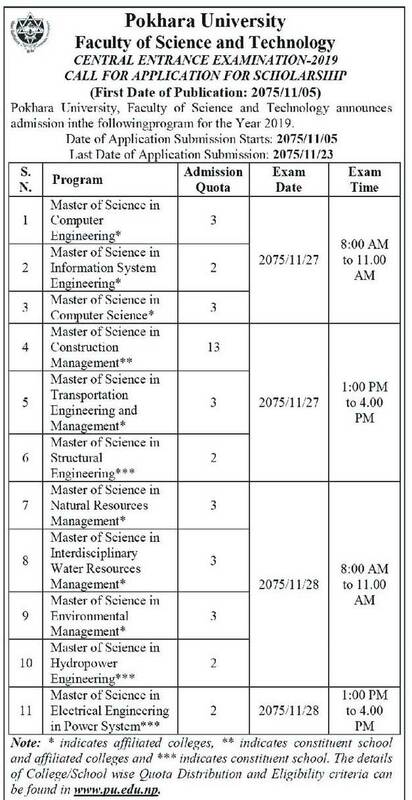 The available scholarships quotas are: MBA-36 MBA (Finance)-6, MBA (Global Business)-3, MCIS-3 and MHCM-3. Interested and eligible applicants can apply. Pokhara University, Faculty of Science and Technology, Central Entrance Examination- 2019 invites scholarships applications from interested candidates different Masters of Engineering programs for the academic year 2075 Chaitra. Falgun 23, 2075 (March 07, 2019).